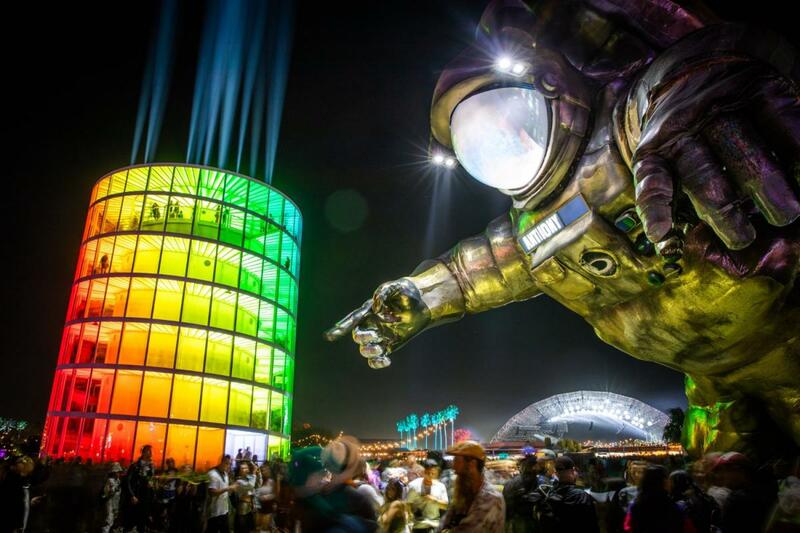 Coachella Valley Music and Arts Festival 2019 brings a sensational line-up! 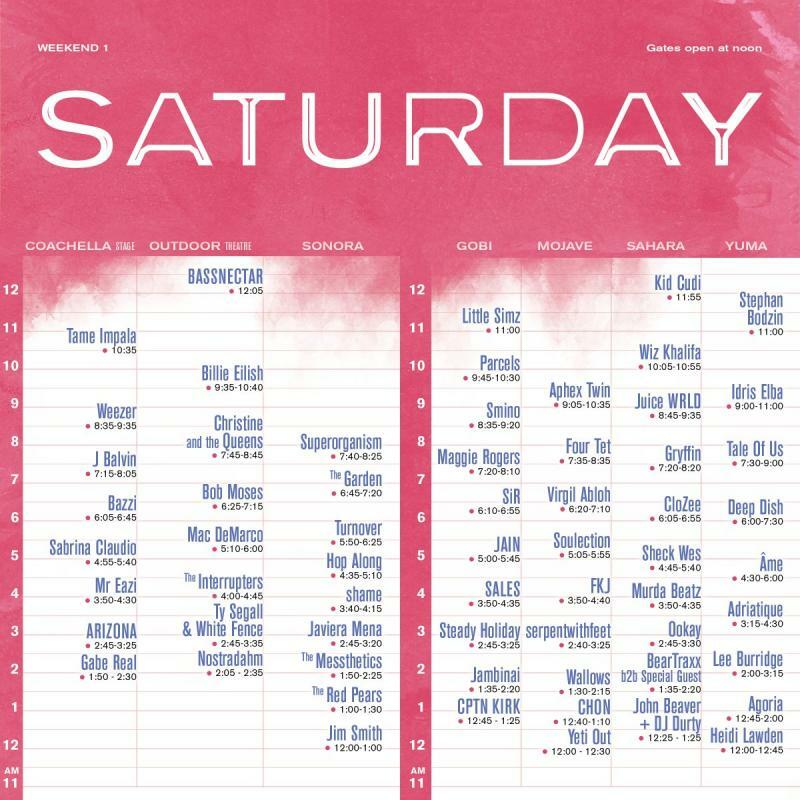 The first weekend of Coachella 2019 is set to take place this weekend, April 12th - 14th. The second weekend of shows runs from April 19th - April 21th. The festival will again be hosted at the Empire Polo Club in Indio, California. The well-rounded selection of performing acts include rock legends, pop divas, R&B and hip hop greatness, Latin icons, and an amazing collection of newbies who attracted notoriety as 2018 up-and-comers. Listen to your favorites and discover new artists from the Coachella 2019 lineup with this playlist. Performers include Weezer, J Balvin, Solange, Ariana Grande, Gesaffelstein, Kacey Musgraves, Bad Bunny, Juice WRLD, Christine and the Queens, Sheck Wes, Pusha T, J Balvin, Janelle Monae, The 1975, Aphex Twin, Childish Gambino, and Tame Impala. Watch their sets live on Coachella's YouTube Channel. 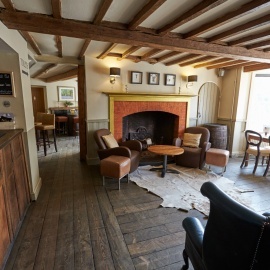 Want to catch the events in person? Purchase your tickets HERE. 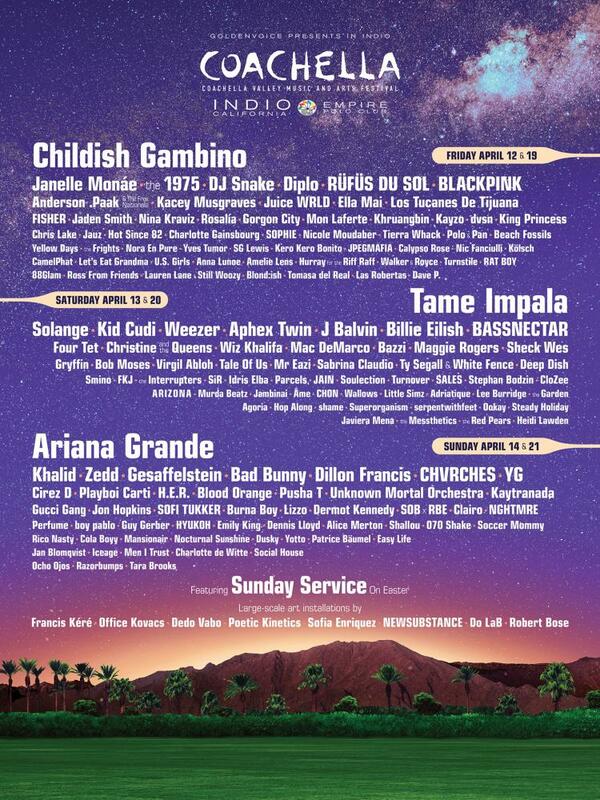 K-pop comes to Coachella with the South Korean girl group, BLACKPINK...Girl Squads Unite!! Another lady hitting the stage is Nashville native, Sophie Allison. Better known as Soccer Mommy, Allison has a chill-rock vibe which will surely draw a large hipster crowd. Alternative dance group RÜFÜS DU SOL hails from Australia and is an excellent addition to the diverse layer of slated Coachella artists. 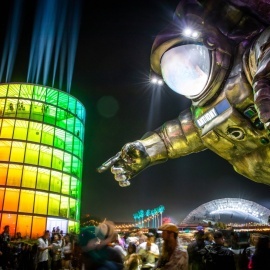 How did Coachella one-up last year's hip-hop sets? They booked Juice WRLD, Jaden Smith, SOB x RBE, Playboi Carti, Lil Pump, Wiz Khalifa, Childish Gambino, YG and Kid Cudi! 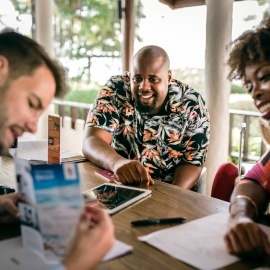 These creators have engraved party anthem rap lyrics in our minds, proven by impulsive and subconscious sing-along sessions while driving. 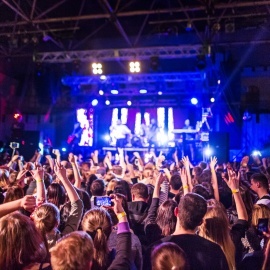 Their mainstream hits fill playlists around the world and attending fans have a lot to look forward to in terms of live entertainment. Christine and the Queens rejoins the festival this year. After landing her album Chris on to nearly every “Best of 2018” list, they made relentless strides through 2019 before confirming Coachella. The LA-based duo Sofi Tukker received great acclaim for its genre-defying sound, vibrant melodies and themes of inclusivity and self-empowerment. Another Indie highlight is CHVRCHES. The Scottish trio just recently had their first entry on the Billboard Hot 100 with their Marshmello collaboration. The MyArea Network staff is full of EDM lovers, so this genre is going to receive major shout outs! 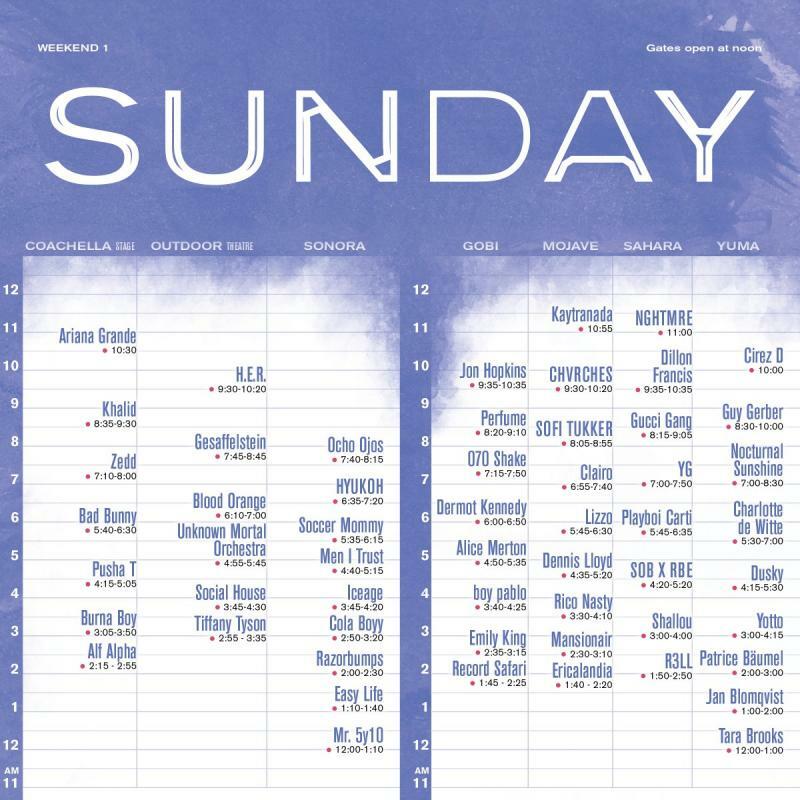 Coachella is littered with glorious electronic heavy hitters such as: Zedd, Bassnectar, Dillon Francis, DJ Snake, NGHTMRE, Diplo, Anna Lunoe, Jauz, Kayzo, Ookay, Jon Hopkins, Aphex Twin, RÜFÜS DU SOL, Gorgon City, Kaytranada, + more! Festival goers will get to lavish in the luscious percussive tones of Canadian DJ and production duo Blond:ish aka Anstascia D'Elene Corniere and Vivie-ann Bakos. Tyler, better known as NGHTMRE, explained at Winter Music Conference 2019 in Miami that he is focusing on mixing hip-hop right now. He wants to set himself apart from other artists by using heavy bass in his music. In that same WMC panel, Kayzo said he makes music that resonates with him. His goal is now to bring that throwback feeling to the forefront of his fans minds. 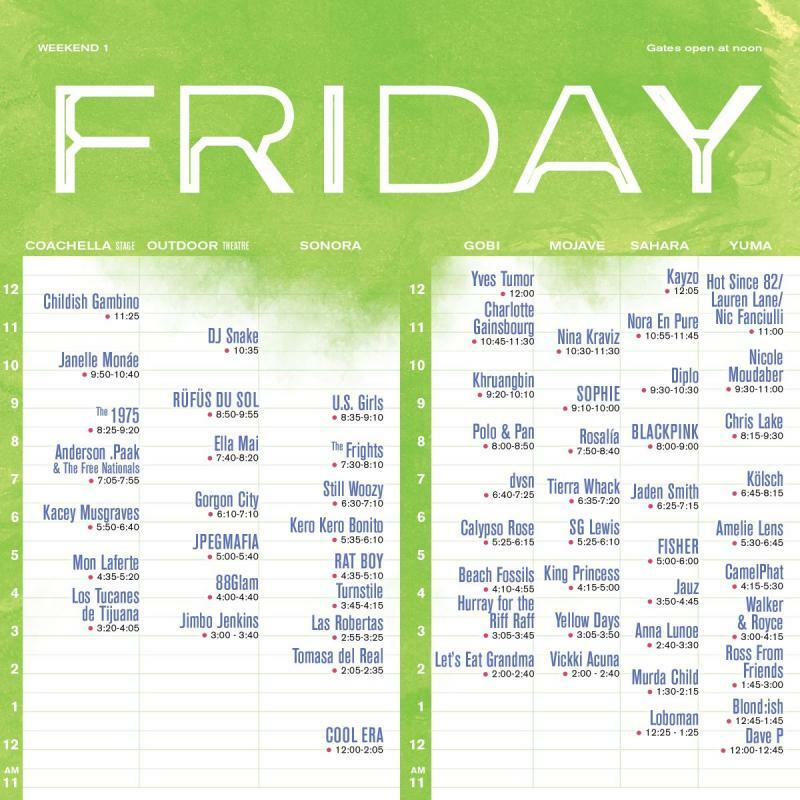 Here's a glimpse at the full Coachella Valley Music and Arts Festival Flyer. If you can't attend, you can always watch the YouTube livesteam. If you're fortunate enough to be is the desert with the funds to buy a weekend pass, totally click here to purchase!